Meghan Markle news: What does royal maternity leave actually look like? Right now, the Duchess of Sussex Meghan Markle is likely reclining in a comfy lounge chair (or bouncing on an exercise ball) getting ready for the anticipated arrival of the royal baby. That’s right, Meghan is on maternity leave, which got us wondering… what does mat leave and the birth of a baby look like when you’re a royal? To find out the details, we spoke to royal biographers, journalists and etiquette experts who have a pretty good idea exactly what life is about to be like for Meghan Markle, as well as what we can expect to see from her when she goes back to work. Mamamia’s daily news podcast The Quicky spoke to royal biographers and etiquette experts about exactly what it’s like to give birth when you’re a royal. Post continues below audio. Maternity leave looks different for every expectant mother. Some choose to work right up until their waters break, others give themselves a long lead up to get everything sorted. But what about when your job is being royal? What does maternity look like then? 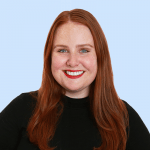 Well, Myka Miers, the expert etiquette behind Beaumont Etiquette, reckons Meghan’s mat leave experience is probably quite similar to a lot of women’s. Again, minus the whole royalty thing. “I think people would be very surprised to learn that it’s very similar to what you’d be doing at home right now if you were on maternity leave,” Miers told Mamamia’s Claire Murphy. The last time we saw Meghan, who is due to give birth any day now, publicly at an official royal engagement was in mid-March at a memorial for the victims of the Christchurch terror attack, and at a Commonwealth Day service a week before that, which suggests Meghan’s mat leave is well underway. 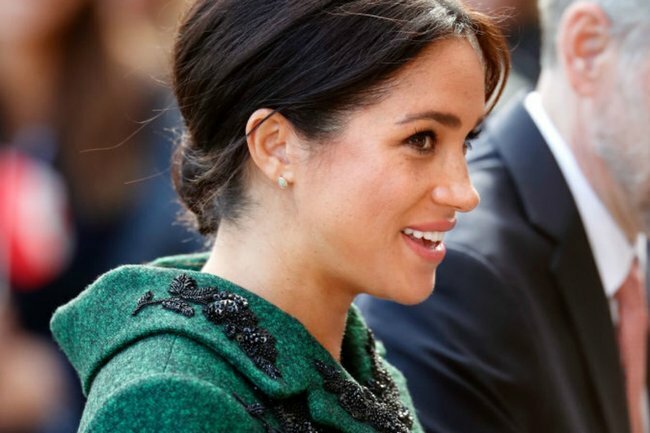 Side note – Meghan Markle is known for breaking royal rules, here’s the many royal protocols she’s ignored so far. Post continues after video. Susan Maxwell Skinner, a former member of the Buckingham Palace Press Corps who was there when Prince William and Prince Harry were first introduced to the world, told Mamamia she suspects Prince Harry will also be taking paternity leave. We last saw him at a tree planting project in support of The Queen’s Commonwealth Canopy on March 20, so he may well have started his paternity leave already. “I can absolutely guarantee Prince Harry will take paternity leave, he’s not just like any royal. He’s the most fantastically hands on father-to-be and I think he’ll want to be part of the nursery process right from the beginning,” Skinner said. Then, there’s the topic of prenatal classes. Sure, the Duke and Duchess are modern royals, but would Meghan really be found breathing deeply on all fours at a community birthing class in Windsor town hall? There&apos;s a good chance Meghan&apos;s nursery won&apos;t have this strawberry carpet. Image: Getty. Here&apos;s hoping it&apos;ll have this level of colour coordination. Image: Getty. Typically, royal nurseries don&apos;t look like the ones you&apos;d find in your average Australian household. For one, they&apos;re often larger than most inner city apartments, taking up entire floors as Prince William and Prince Harry&apos;s did at Kensington Palace. But Prince Harry and Meghan aren&apos;t typical royals, so what will the space where they&apos;ll be rocking the royal baby to sleep at 3am look like? "In their case, [the nursery] will be very modern and we&apos;ll see [Meghan&apos;s] California roots come through," Miers said. "We just found out she had a very modern stroller maker arrive at her house two weeks ago, [having a modern pram] would very non-traditional. Every single part of that baby&apos;s nursery will probably reflect their theme - all organic products, very healthy, very neutral colours. I would not be surprised if they had some sort of African theme as that&apos;s something close to [Prince Harry and Meghan&apos;s] hearts." 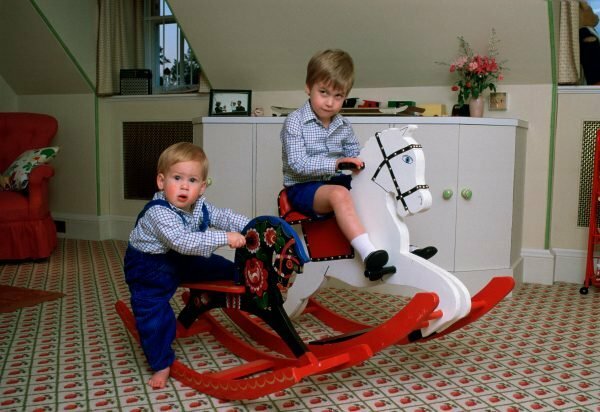 Renovations to the royal couple&apos;s new residence Frogmore Cottage have been going on for months, and from what royal expert Katie Nicholl told Entertainment Tonight, those upgrades have likely included a gender-neutral "monochrome nursery colour palette of whites and greys." What happens once the royal baby has arrived? Ever since Prince Harry and Meghan announced their pregnancy in 2018, the people have been wondering where this royal baby will actually be born. Royals have been giving birth in London&apos;s Lindo Wing for decades - after all, it&apos;s a tradition for the women of the royal family to stand on the steps of the Lindo Wing looking ridiculously manicured hours after birth and pose for photos with their newborn. But considering Meghan&apos;s not really one for upholding royal traditions, multiple sources report she&apos;s more likely to give birth at a hospital closer to the couple&apos;s home in Windsor. So how else will Meghan&apos;s parenting style differ to the styles of the likes of The Queen, Princess Diana and Kate Middleton? See? It&apos;s tradition! 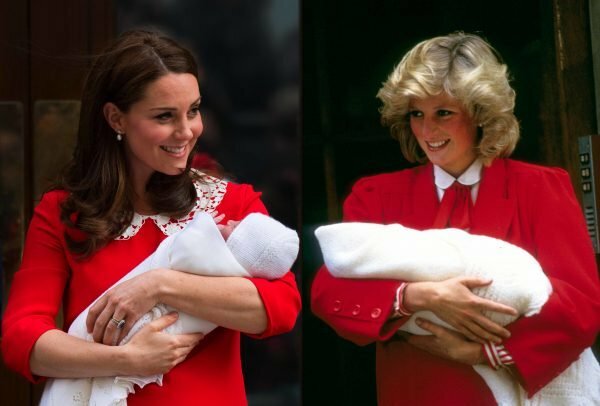 Here&apos;s the Duchess of Cambridge with Louis in 2018, and Princess Diana with Harry in 1984, both leaving the Lindo Wing. Source: Getty. Well, probably not that much, Miers said, with the exception of how long the Duchess will wait to go back to work. The Queen took two months with Prince Edward and eight months with Prince Charles, Princess Diana took eight months with Prince William and six months with Prince Harry, but Meghan may make appearances earlier. "Royal maternity leave is not set up ahead of time. We do know royal engagements are set up years in advance, so I do think Meghan has a timeline she&apos;s agreed to if the birth goes according to plan. But until we know for sure that the baby is safe and sound, we wouldn&apos;t have a date for the next event she&apos;d make an appearance at." "It could up to six months, or it could be shorter and she could make appearances at a couple of events early on. She also may decide to go out socially, she&apos;s a big tennis fan so I would not be surprised if we see her at Wimbledon. She has been very vocal in the past about not loving the idea of taking maternity leave, she loves to work and she loves to stay busy." Do royals breastfeed and change nappies? Any new parent will tell you having a newborn is messy and you&apos;ll often find yourself covered in milk, vomit, poo, or all three. So how do royals tackle the practicalities of parenthood? "I can absolutely guarantee they do [breastfeed]. I know Princess Diana breastfed both of her children," Skinner said. "I never saw Diana do that [in public], and the Queen didn&apos;t. But she&apos;s doing things her own way and who knows, I think if she&apos;s out at an event with her baby and she has to breastfeed, she will go quietly somewhere and do so. I expect she&apos;ll have plenty to say about it. Miers added, "I do not think there&apos;d ever be a situation where we&apos;d see [a royal changing the royal baby] happen. 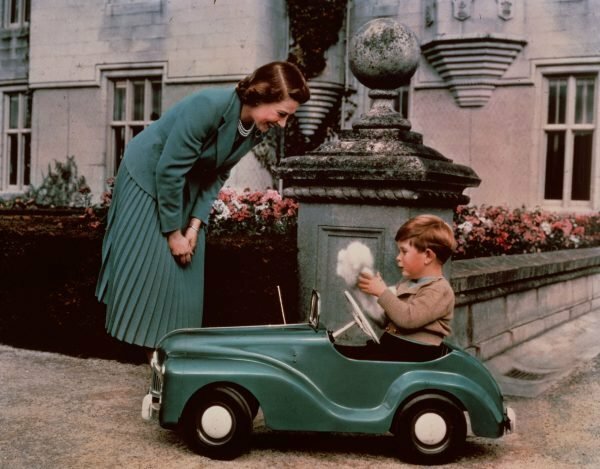 We have seen recently Princess Charlotte and The Duchess of Cambridge stop at a pub on the drive home because Princess Charlotte had to go to the bathroom, and they pulled over on the side of the road and ran in. That&apos;s as close as we&apos;ll get to seeing something like that. They have the most amazing team of nannies and aids that would ensure everything is taken care outside of the public eye so they can retain a little bit of privacy." 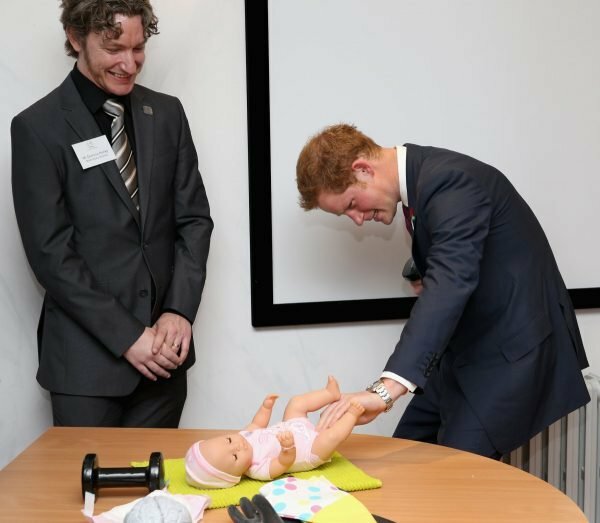 When Prince Harry was changing fake nappies in 2013, little did he know he&apos;d be doing it for real all these years later. Image: Getty. One thing many new parents rely on after bringing a baby home is help from family members. Prince Harry and Meghan will have no shortage of highly trained individuals helping them navigate the early days of parenthood, and according to Royal Biographer Christopher Warwick, the Queen will be one of them, despite being, well, the Queen. "I think [the Queen] probably spends as much time with her grandchildren as most grandmothers and grandfathers do, the Queen is very family oriented, she loves having the family with her," he told Mamamia. As we speak, there are hoards of expert teams dedicated to predicting every minute detail surrounding Meghan Markle and the royal baby, from her birth plan and baby nursery to which name the royal baby will take. Really, Skinner put it best when she told us the only thing we know for sure is, "Meghan will probably break a lot of the usual rules about maternity." Are you excited for the birth of the royal baby? Do you think Meghan Markle will follow royal birth traditions?